The Brando dining chair brings a modern design to your dining room. Covered in a well padded black or white leather look PU material, this dining chair is comfy and curvy in all the right places. 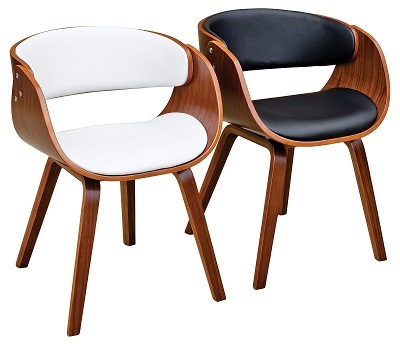 With a shaped plywood frame this chair is retro as well as modern!